Art lesson #4 focused on the art of Roy Lichtenstein's POP Art. Thank you to all of the parents who came out to volunteer in the classrooms during the 1 hour lessons and huge thanks to our chairs, Katie Ryan and Bobbie Cunningham for preparing the art supplies and coordinating the classroom schedules. Featured artist is Frank Lloyd Wright. Volunteer Sign Ups to be sent out in April. Congratulations to Gates Student, Christofer Romano! His T-Shirt Logo design (pictured below) was selected by our Gates students. Order forms went home on Friday, February 3. Thank you Elsa Harrison for making the copies. Be sure to check your child's backpack. No late orders will be accepted. Please visit www.GatesPTA.org or Gates PTA Facebook page for images in color. Thank you Dolores Wirth for being our Spirit Wear Chair. This is a Program enjoyed by our children that is funded by the monies raised by you our Gates families from the fundraisers you support. The assembly is titled: Who What Where/Write Away! Who What Where is an "exciting and informative show that teaches the fundamentals of writing and inspires the children to start writing their own stories. ...They will focus on creating unique characters, memorable settings, and imaginative plots. The students can even act out stories on stage with the actors." Write Away! "focuses on moving beyond the basics of writing, and turning a first draft into a masterpiece! The audience will help create a brand new story unique to Gates Elementary, then add the second step of writing: rewriting!" Thank you Andrea Merchant for being our Assemblies Chair. Ms. Goda, Gates Literacy Coach, gave a very informative and fun presentation on Homework Success Tips and went over how to access the Gradebook via the SaddlePort. She also went over a phone application called "Grades" that students as well as parents can access. Lots of great tips. Thank you so much Ms. Goda. The Nominating Committee elected members are: Julissa Salamanca, Bethany Ayala and Elsa Harrison with Ms. Estling as an advisor. In the next 2 weeks, they will be busy contacting potential candidates for the PTA board positions. The new slate of board members will be posted in front of the school office by February 20 and the elections will be conducted at the General Meeting on March 21. We would like to get a big group of parents to attend this meeting to elect the new board for the 2017-2018 school year. Come out to support them! There will be some raffle prizes that night. The person who brings the most amount of people to the meeting will get a raffle ticket for every guest that they bring to increase their chances to win a prize. Come at least 10 minutes early to get your raffle tickets. Address: 23971 El Toro Road, Laguna Hills, CA 92653 (corner of El Toro and Ave. de la Carlota. Mention this fundraiser at the cash register and Cane's will donate 15% of sales to Gates Elementary PTA. Flyer to be sent out the 4th week of February. Thank you Sonia Maceranka for chairing the dine out fundraisers for us. Grade level classroom winners were awarded with frozen treats on January 13th and were announced on the loud speaker. We have over 140 students registered and ready to start practices on February 9. On January 26 and February 2, our coach volunteers attended training led by Kids Run the OC Chair, Heath McMasters. This is a labor intensive Program. Huge thanks to Heath for all the work he has done so far and thank you to all the parents that helped with registration: Cheryl Harris, Julissa Salamanca, Maria Placias, Brenda Thompson. Children must come prepared with sport shoes, sport appropriate attire and bottled water. If there is inclement weather, parents are to call the Kids Factory Weather Hotline at 949-460-2735. If Kids Factory is cancelled for the day, so will Kids Run the OC Practice. Children must complete 1 hour of physical activity that week outside of school, record it on a Make-Up Form (available at front office) and turn it in to their coach at the next practice. Packet to be sent home in early March. Bethany Ayala is our Jogathon Chair who is doing an awesome job planning our biggest fundraiser. She can be reached at jogathon.gatespta@gmail.com. 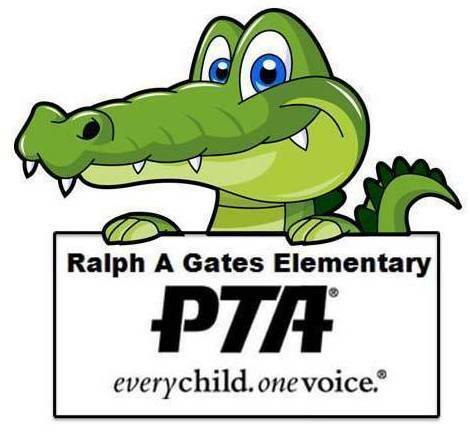 Jog-A-Thon Committee: Help Jogathon Chair, Bethany Ayala, plan the biggest PTA fundraiser. All hands on deck!! Show up Thursday in the Teacher's Lounge from 8:00 am to 10:00 am.